Can Big Government Solve the Mysteries of Autism and Alzheimer’s Disease? Why we need Obama’s BRAIN Initiative. On September 30, the National Institutes of Health (NIH) announced a $46 million investment in new tools to study the brain in action. The work of more than 100 neurobiologists, chemists, physicists and engineers, these tools seem to emerge from a futurist’s fantasy. Infrared tags to visualize brain chemistry from outside the brain in real time. A device that can monitor thousands of nerve cells for months while delivering drugs or electrical pulses. A system for altering information flow across the brain using radio waves and magnetic nanoparticles. Even to a scientist, this technological mash-up hardly seems possible. 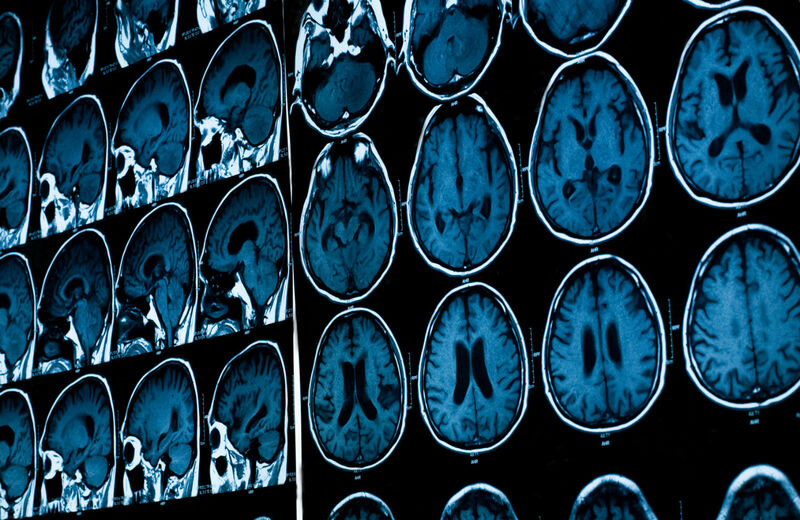 These futuristic projects are the NIH’s first investment in the Brain Research Through Advancing Innovative Neurotechnologies (BRAIN) Initiative, which was launched by President Obama in 2013. The BRAIN Initiative is a broad scientific effort to discover how the human brain generates its unique cognitive abilities—reason and intuition, creativity and habits, experiences and memories, emotions, language and actions. Along the way, scientists hope to uncover clues to how these abilities wax and wane—and with these clues, ideas for treating some of the most crippling brain disorders. The human brain is our greatest strength but also our greatest weakness. One out of three people will suffer from a disabling brain disorder at some point in life, and every family will grapple with the consequences of a brain disorder firsthand. The list of possible ailments is long: autism or learning disabilities in children, schizophrenia or depression in young adults, Alzheimer’s disease, Parkinson’s disease or stroke in older adults, among many others. These disorders exact a profound human toll, but they also have an economic cost. To pick just one example: the United States currently spends more than $200 billion a year caring for well over 5 million patients with dementia—numbers that are bound to increase as our life span grows longer. What makes brain disorders particularly challenging is that modern medicine can do too little for too few. Moreover, a stream of failures in developing new drugs for Alzheimer’s and schizophrenia has led many pharmaceutical companies to scale back their efforts in these areas. As frustration builds, a consensus is emerging on an explanation: we cannot treat brain disorders because we do not understand enough about the brain. We are like drunks looking for our keys in the dark. Who will turn on the lights? This is the goal of the BRAIN Initiative: to illuminate the deepest folds of our most mysterious organ. Its original leaders were the NIH, the National Science Foundation, the Defense Advanced Research Projects Agency and several private foundations. First among the latter was the Kavli Foundation, which posed the problem and proposed an initiative over a series of meetings and papers. Since then, other foundations, universities and private companies have signed on to the effort, holding their first joint meeting at the White House on September 30 (the same day the NIH grants were announced). The task of the BRAIN Initiative is dazzlingly complex. A human brain contains about 86 billion neurons (nerve cells), each of which communicates with thousands of other neurons. Infinitely many thoughts and actions can be generated by chemical and electrical activity across those neurons and connections. A simple act—recognizing your sister’s voice on the phone—engages millions of neurons in less than a second, starting with the auditory system and sweeping through the systems for language processing, emotional processing and memory before you even answer. Thousands of such events, each engaging somewhat different sets of neurons, occur during the phone conversation. Millions occur in a year, billions over a lifetime. The past fifty years of neuroscience have provided a sophisticated view of individual neurons and molecules in the brain; 100 years of neurology have defined large brain regions, each composed of millions of neurons that are needed for functions like vision, learning and language. But we do not yet know how the neurons across and within different regions are recruited in ever-different patterns of activity. Where is the memory of your sister’s voice stored? How do you call up that memory, feel the associated emotion, and link it to action? The answers reside in dynamic networks of interacting neurons, and that middle scale of circuits and networks is missing from our understanding. It is as though we could observe New York City either through a microscope or from a satellite in space, but couldn’t watch people interacting with one another. The BRAIN Initiative aims to examine that middle scale of the brain, observing and interpreting the startling flow of information across space and time. To do this, the BRAIN Initiative will have to build on the tools that have revolutionized brain science in the past few years. Advances in microscopy and clever genetic methods are allowing scientists to observe the activity of many thousands of neurons at once. Seeing these activity patterns, brain scientists are discovering properties they never imagined—much like Galileo pointing his telescope at the heavens for the first time. A second advance makes it possible to ask what those patterns of activity mean, by perturbing them and watching the effects. A new tool called optogenetics allows scientists to reach into the brains of animals with light to reroute the flow of information from one neuron to the next. And, finally, can anyone keep track of 86 billion neurons? The answer is that people cannot, but computers have recently advanced to that level. Combining the high capacity and speed of computers with thoughtful analysis from humans can turn “big data” into models for brain function. All of these advances are spectacular, but each must improve and adapt to tackle the complexity of the human brain. We need to know what kinds of neurons and connections generate which activity patterns; we need new conceptual models and experiments to relate brain activity to behavior and cognition; we need studies in animals to inform and stimulate studies in humans, and vice versa. Only then can neuroscience begin to address the profound questions about the brain’s ability to represent the world in thought. And only at that point, building on fundamental knowledge, can we move toward new kinds of treatments for brain disorders. It will not be easy, and it cannot be done on a small scale—which is why we need a presidential initiative, not scientific business-as-usual. Developing new tools will require the best neuroscientists, geneticists, engineers, physicists, computer scientists and medical researchers to work together in new ways. It will take at least ten years, and it will require resources. Only governments can commit vast sums of money over long periods of time, betting that after the fundamental work is done, they can look to their partners in medicine, engineering, and the pharmaceutical and biotechnology industries to turn that science into directed applications and treatments. The United States is a wealthy, visionary nation that respects scientific knowledge. Great advances have happened when this country has been expansive and imaginative in its goals, as it was during the space program. Now it is time to explore inner space. The NIH planning group for the BRAIN Initiative estimated that its program would take twelve years and cost $4.5 billion. That is not cheap. But the total cost of those twelve years amounts to about $14 per US resident. Isn’t it worth that much to figure out how the brain works?